Fernand Leger produced his own personalised form of Cubism, categorised by primary colours, spherical shapes and a three dimensional finish. Leger artwork is characterised by robotically formed humans. This signature style continued throughout his career, even when experimenting in other areas of his work. The artist's career came at a time when man and machine were working together in harmony like never before. The industrial age was in full swing and Leger's paintings portrayed a comfortable combination. Beyond instantly recognisable paintings such as Nudes in the Forest and Contrast of Forms, Leger would take in all manner of influences into his career. These would show their heads at various stages of his development. An ambitious, open minded artist, Leger would make use of many different media during his life including paint, ceramic, film, theatre and dance sets, glass, print and book arts. There seemed no end to his innovation and desire to stretch himself artistically. It was the the 1907 retrospective of Paul Cézanne at the Salon d'Automne which started to encourage Leger into becoming bolder and more experimental early in his career. Prior to this, his training at the Ecole des Arts Décoratifs and Académie Julian in the French capital had produced a more impressionist feel to his work. He clearly now felt empowered and inspired to work more abstract and expressively. Monet was, naturally, the key influence on the impressionist style early on. He was the master and driving force behind that movement's rise to prominence. Artist Leger would also meet the likes of Georges Braque, Pablo Picasso and Henri Rousseau during his career and it is clearly no coincidence that the former two were early exponents of the Cubist art which he was himself so involved. In the early 20th century Fernand would slowly build recognition for his cubist paintings through regular exhibitions across Paris. His style was unique but close enough to other Cubists like Picasso, Braque and Gris for him to be grouped together with them. Wassily Kandinsky is believed to also have inspired the development of Leger, with another Russian, Kazimir Malevich, also producing work which bears resemblances to this artist's own. Specifically the prime colours of the two artists draw obvious comparisons. Artist Leger wanted to see art as accessible to all. This anti-establishment feeling was rife amongst artists of the 20th century and represented a general resentment towards the established classes. Academic styles of art had been losing popularity for many centuries, with the likes of Leger, Miro, Rothko and Pollock now seeking to truly complete the transformation. The Pop Art movement which includes Warhol, Lichtenstein and Hockney found inspiration from this fresh way of thinking, incorporating pop culture to continue this development ever onwards. Indeed, Neo-expressionist, Basquiat, underlines how art was now starting to spread into the American minorities for the first time. Disclaimer: www.fernandleger.org is a personal website covering the career of famous French painter Fernand Leger, but is in no way an official website for Fernand Leger and www.fernandleger.org does not claim to be that in any way. 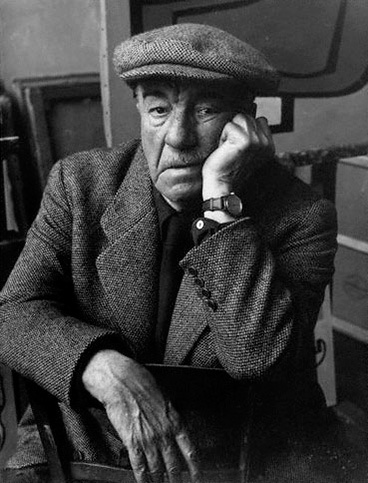 The Estate of Fernand Leger and their presence hold all necessary copyrights and licences for all of his paintings and other works. All prints, paintings and photos included in www.fernandleger.org are provided as an affiliate to Art.com who hold necessary permissions. Art.com pay us small commissions based on any prints or paintings that you buy as a result of using this website.